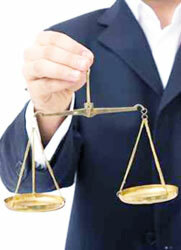 Our attorneys provide you with individual advice related to the development of efficient solutions. Our attorneys carefully examine legal positions, including comprehensive procurement of information. Our attorneys inform you on a continuous basis with regard to the status of the advice. Our attorneys give you advance information related to the cost framework. Invoicing of accrued fees takes place promptly in order to make it possible for clients to accurately exactly the scope of costs. Attorney Reinhold Poppek, founder and owner of the Law Firm specialises in providing legal and commercial advice with regard to investments, mergers and acquisitions, participations and cooperations, national and international commercial law, in particular, corporation law and contract law. Attorney Antje Christine Müller specialises in labour law, sales and trade law as well as the law governing commercial agents. Attorney Bettina Schlüter-Falke specialises in competition law, trademark and registered design law as well as product liability law. Attorney Ingomar Poppek specialises in international contract and trade law as well as international arbitration law. Business Economist and MBA Josefina Petchamé Gali Poppek, born in Barcelona, specialises in international management consultancy for small and medium-sized companies.